Is Your IT Network & Computing Environment Properly Segmented? Is Your IT Network & Computing Environment Properly Segmented? Is Your IT Network & Computing Environment Properly Segmented? ﻿ By 2020, the number of connected devices is expected to grow to 50 billion. Before now, simple network segmentation was enough to prevent data breaches. But not today. Without a data-driven segmentation framework, your IT is at risk. This type of segmentation is more comprehensive and makes it more difficult for criminals to compromise your network and gain access to your confidential information. While it isn’t easy to implement, LA Networks has the skill and knowledge to do so. Read on to learn more about a data-driven segmented framework and why it’s so important. The merging of digital and physical domains permits billions of devices to exchange data today. Securing devices, applications, users, and systems is essential to ensure that only authorized data can be exchanged. Before devices interact with each other, or with people, a segmented IT framework should be implemented for security. Unfortunately, businesses often fail to do this. They’re more focused on getting their network to provide needed functions. The result is debilitating data leaks like the ones that occurred with the Target and Office of Personnel Management breaches last year. The cybersecurity landscape is more treacherous than in years past. Cyber attacks are now sophisticated and targeted—And no business is too small or large to evade a cyber attack or data breach. Small businesses are victimized primarily because they don’t have the financial resources to harden their networks. And, companies with large networks often overlook structural aspects of IT security to keep up with business demands. This is a recipe for disaster. If you don’t have full visibility into your IT infrastructure, how can you defend against the threats that you’re up against? Did you know that more than half of cyber attacks aren’t detected by organizations for months? Applications can pose a threat to security. In the past, they were simpler and not as prevalent—A few basic ones were used by a select team of employees and stored in a data center with strict security and monitoring. However, this system lacks protection when applications communicate. The same goes for user and data mobility. Your employees are no longer confined to the physical boundaries of your office. With BYOD (Bring Your Own Device) and employees working on the road and at home via both wired and wireless networks, conventional data protection is no longer enough. Data is everywhere—In your data center, the cloud, or even in a business partner’s network. With more prevalent and sophisticated cyber threats, providing segmentation strictly at the network layer isn’t enough to ensure complete data protection. With today’s network virtualization, cloud adoption, and proliferation of devices, you must consider the entire connected environment before allowing access to critical data. What’s required is a state-of-the-art solution that deals with today’s application-focused business environment—One that combines threat intelligence from various sources, and constructs a complete security environment around end-to-end data connections. 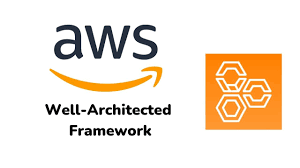 A data-driven segmentation framework compartmentalizes data connections by building appropriate access-controls, a framework that goes beyond band-aid approaches to address security concerns, and provides a framework that ensures segmentation is part of the overall strategy. It identifies elements requiring access to resources, builds walls around them, and then applies an access-control policy to manage and authorize connections. It’s only through this method that true and reliable data segmentation can be accomplished. When doing this, all parts of your business must be evaluated at a micro level, including breaking up the infrastructure components into objects and constructing appropriate relationships. Segmentation is based on the value of a critical business asset or resource, not simply on network boundaries. And the value isn’t based on physical hardware, but the data it contains. Business Critical Resources: This is anything you want to protect from unauthorized users or objects. They are placed at the center of your IT architecture. Objects: Once you know what your critical resources are, the next step is to break up your network architecture into different objects. Identity: One of the most important components is to identify objects (users, devices, and applications). Locations: These are the entry points to your critical resources. With the increased use of cloud services, some of your data could be accessed outside of your control points. Plus, services hosted in the cloud could have access to data in your data center. Security Monitoring: This is done by collecting, inspecting and analyzing traffic at various security zones. Monitoring is key to safeguarding your network and ensuring systems perform as they should. It detects unusual activities that could pose a threat. Operational Security: For total information and network security it’s essential to compare your business goals against the security risks to your assets. Behavioral Analytics: Once you know which devices connect to your network, which applications are hosted, who requests access, and where objects are, only then can a complete framework for segmentation be finalized. A data-driven segmentation framework doesn’t just stop attackers from getting inside and moving around your IT infrastructure, it also reduces the problems associated with regulatory compliance. Organizations can often limit the scope of compliance assessments such as PCI DSS by using a data-driven segmented network. A segmented framework that deconstructs all elements of a session request, inspects appropriate objects and applies a control model to ensure that data is accessed by only authorized users, devices, processes, or applications, ensures you’re doing everything you can do to protect against data breaches. When designed properly, a data-driven segmented framework provides all the means and tools to ensure that your organization’s critical resources and data are well-protected.